Today, vehicle manufacturers recommend that you properly flush the underbody of your vehicle once, twice, some as many as four times per year, at YOUR expense, (see underbody maintenance in your owner's manual). WHY? Chemicals and corrosive materials used for ice and snow removal, dust control and industrial pollution can collect on the underbody or your vehicle. 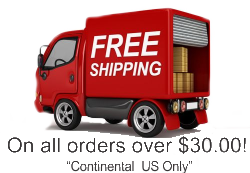 If not removed these materials accumulate and may accelerate corrosion or rusting of the underbody components, such as frame, floor pan, wheel wells etc. Remember if washing or hosing of the vehicle underbody only serves to wet caked mud and debris without removing it, you can do more harm than good and may accelerate corrosion. Some manufacturers even recommend undercoating materials, like TST Silent Rider that will help protect your vehicle underbody from corrosion. Water and oxygen are the two components metal requires to begin the corrosion process. When objects strike the underbody of your vehicle and chips away the painted surface, the bare metal is exposed to both. Add in the corrosive elements and the rusting process is accelerated. TST Silent Rider puts a barrier between the exposed underbody of your vehicle and the outside elements. 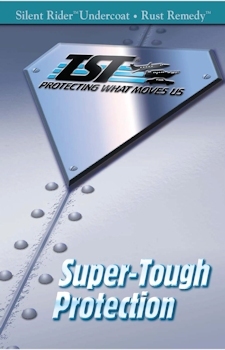 This barrier eliminates the need for costly underbody flushing required in your owner's manual, provides for a quieter ride and improves the overall appearance of your vehicle. Combined with a lifetime, no inspection new vehicle warranty, makes this a must have option on every vehicle. Used Vehicle warranty is available upon inspection.